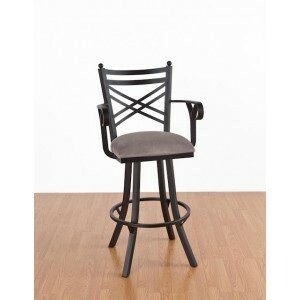 Distinctly contemporary, this bar stool with arms has a single-ring base with flared legs. Designed for both functionality and comfort, it comes with a number of material, color and finish options that will let you customize it to your personal taste and decor. Seat height: Available in 26", 30" and 34"